• There is an one year expiration date from date of purchase for all class packages. • All sales are final. Classes are not eligible for transfer or exchange. • A valid credit card is required on all accounts including situations when taking advantage of a free class or a promotional purchase. • Please note that you are paying for a class and not a trainer. Trainers and classes are subject to change without notice. • You must show up to class within 10 minutes of starting time or your spot may be given to a standby patron. 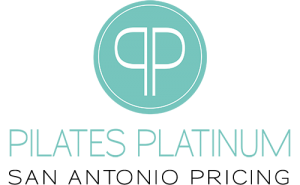 • Pilates Platinum Unlimited Memberships are limited to one class per day per client. • Socks with grippers are required for all classes and may be purchsed in the studio for $15.00. • Gift Certficates are available. Our monthly unlimited membership will be automatically renewed each month. This membership may start and stop at any time, there is no obligation. To cancel your membership an email must be sent to info@pilatesplatinum.com prior to your next renewal date. Unlimited memberships are eligible for our hold program. Hold periods must be a minimum of one week and a maximum of two weeks. One month memberships are eligible for one hold per month at no charge. Each additional hold is $25.00. Our consecutive month unlimited memberships are eligible for one hold during the duration of their package at no charge. Each additional hold is $25.00. Due to limited number of spaces available in each session, all group classes require an eight hour cancellation notice and all private sessions require a 24 hour cancellation notice. Unlimited memberships will be charged $15.00 for a late cancel and $20.00 for a no show if a class is not cancelled in advance of the noted cancellation period. Group packages and monthly packages will forefeit their class if a class is not cancelled in advance of the noted cancellation period.